I was over on the J.Crew Aficionada Blog the other day – quick side note: this has quickly become one of my favorite blogs. It features all things J.Crew including sale info, new catalog info, etc. It also gives fellow J.Crew lovers a place to exchange new and previously loved J.Crew items, a platform to rant or rave about experiences, and also a forum to share likes and dislikes. It really is awesome. 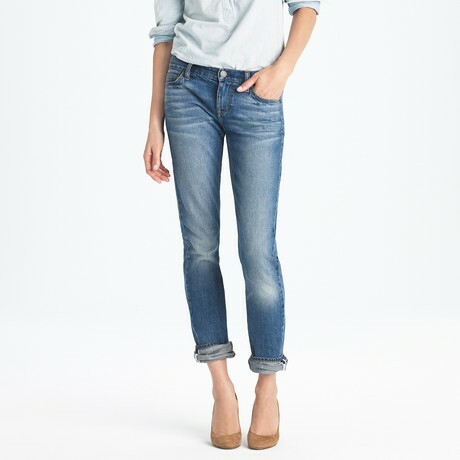 If you like J.Crew, check it out. 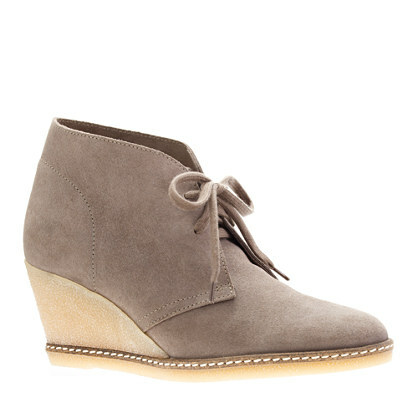 I saw these Macalister Wedge Boots at the last Warehouse sale and passed on them. After thinking about it, I was a little bummed that I did because I think they are super cute. Consequently, I spent approximately 45 minutes this weekend sorting through box upon box looking for these in a size seven. I think I found the only pair. Originally $198, I paid $25! 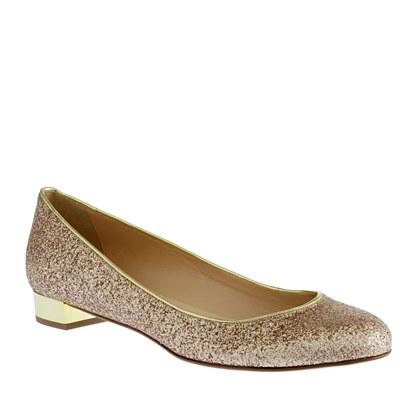 These Janey Glitter Flats stole the show for me this weekend. I have been eyeing these for awhile as a possible wedding shoe. I pointed them out to my fiancé before the sale, but was sad to find not one single pair in the HUNDREDS of shoes when we arrived this weekend. Very sad. About five minutes after I gave up the search and moved on to clothes, Alec came up to me and presented me with a one pair of beautifully sparkly flats… in my size. I basically felt like Cinderella. Turns out, Alec found the only pair in the warehouse… at the bottom of a box of men’s khakis. Originally $228, I paid $30. Isn’t this adorable? This is the Pleated Awning Skirt. Originally $128, I paid $15. Love these jeans. So comfy, I bought two pairs! These are the Matchstick Selvedge Jeans. Originally $148, I paid $15. 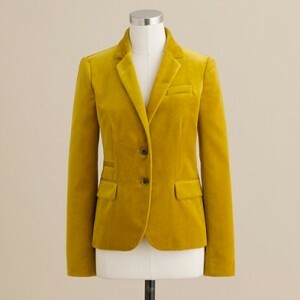 I have long wanted this Schoolboy Blazer. Yes, it is velvet. Yes, it is bright yellow. But I just love it. Originally $178, I paid $25. Those aren’t the only items I bought, either. 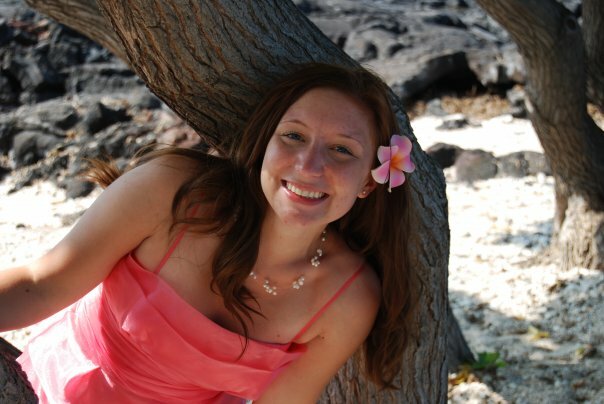 I just wanted to share some of my favorites. I basically walked out with a brand new wardrobe. Oh, and they usually give you a percentage off the purchase. Generally 10-15%. I have a new outfit for every day this week! Did you have any great finds this weekend?